Ringling College of Art and Design President Dr. Larry Thompson today announced the appointment of Mr. Richard Kaplan as Ringling College of Art and Design's Vice President for Marketing & Innovative Partnerships. As Ringling College continues to evolve its programs and compete more heavily for the best and brightest students worldwide, the President stated that redefining and broadening the College brand, strengthening marketing efforts, and maximizing opportunities for additional revenue streams are essential strategies to complement its degree program offerings. In his new role, Mr. Kaplan will work with President Thompson on strategic growth initiatives. Kaplan will oversee Marketing, the madeby Gallery, and the College’s ancillary enterprises: the Englewood Art Center, Longboat Key Center for the Arts, and the Ringling College Center for Creativity/RC3. He will also focus on expanding the College’s corporate alliances and will work closely with the President’s Office and the new AVP for Collaborative Enterprises, Cynthia Gravino. Mr. Kaplan has an extensive background in both sales and marketing, most recently as the President and Chief Brand Officer of the Tervis Tumbler Company, where he has worked since 2008. Kaplan was instrumental in reimagining and expanding the Tervis brand, creating a national advertising campaign, and developing an innovative strategic direction for the company, which propelled it to national prominence. Under his leadership, Kaplan saw sales growth increase 60% year over year as he increased product distribution channels and licensing agreements. Today, Tervis products are carried on Tervis.com, Tervis-owned stores, and 5,000 distributors nationwide, including big box retailers such as Bed, Bath & Beyond, Macy’s, and Hallmark. 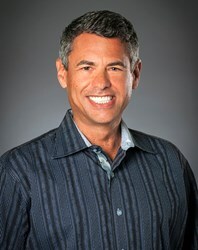 Prior to being promoted to President of Tervis, Kaplan held the position of Chief Sales & Marketing Officer for the company, and was responsible for overseeing the sales force, Tervis-owned stores, the online store, the tervis.com website, and directed all licensing, marketing, and product development teams. Prior to joining Tervis in 2008, Kaplan worked with a number of top-tier consumer brands including a 20-year stint at Levi Strauss & Co., and JNCO Jeans Company. He is lauded professionally for his innovative thinking, breakthrough brand building programs, and his success in creating dynamic marketing teams, as well as his affinity for pursuing and developing relationships with top-tier national companies and their brands. Reacting to his new post and his aspirations for his role at Ringling College, Kaplan commented, "I am extremely excited to join the Ringling team. I am passionate about enabling people to succeed, attain their goals, and creating an atmosphere where people can debate, participate, communicate openly and develop to their highest capabilities. At the end of the day, we will celebrate our accomplishments and have fun!"